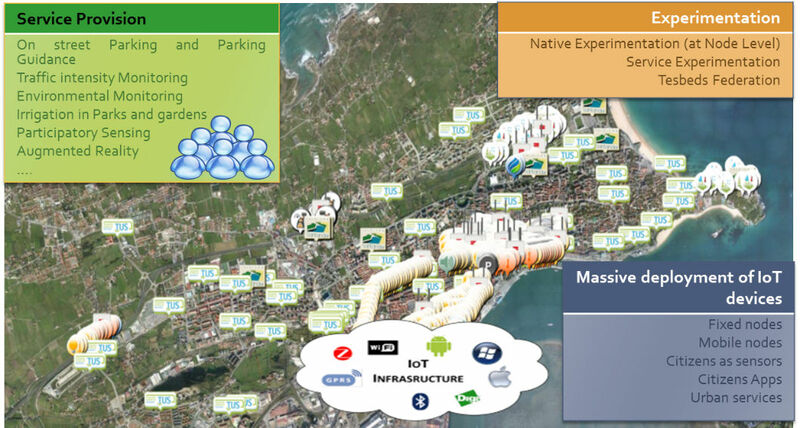 Santander testbed is composed of around 3000 IEEE 802.15.4 devices, 200 devices including GPS/GPRS capabilities and 2000 joint RFID tag/QR code labels deployed both at static locations (streetlamps, facades, bus stops) as well as on-board of public vehicles (buses, taxis). Static Environmental Monitoring: Around 2000 IoT devices installed (mainly at the city centre), at streetlamps and facades, are provided with different sensors which offer measurements on different environmental parameters, such as temperature, CO, noise and luminosity. All these devices are provided with two independent IEEE 802.15.4 modules, one running the Digimesh protocol (proprietary routing protocol) intended for service provision (environmental measurements) as well as network management data transmission, whilst the other one (that implements a native 802.15.4 interface) associated to data retrieved from experimentation issues. Mobile Environmental Monitoring: In order to extend the aforementioned static environmental monitoring use case, apart from measuring parameters at static points, 150 devices located at public vehicles (buses, taxis) retrieve environmental parameters associated to determined parts of the city. Modules installed in the vehicles are composed of a local processing unit in charge of sending (through a GPRS interface) the values (geolocated) retrieved by both sensor board and CAN-Bus module. Sensor board measures different environmental parameters, such as, CO, NO2, O3, particulate matters, temperature and humidity, whilst CAN-Bus module takes main parameters associated to the vehicle, retrieved by the CAN-Bus, such as position, altitude, speed, course and odometer. Furthermore, an additional 802.15.4 interface is also included in order to carry out experimentation, interacting with aforementioned static devices, the so called vehicle to infrastructure (V2I) communication. Parks and gardens irrigation: Around 50 devices have been deployed in two green zones of the city, to monitor irrigation-related parameters, such as moisture temperature and humidity, pluviometer, anemometer, solar radiation, pressure and humidity, in order to make irrigation as efficient as possible. In terms of processing and communication issues, these nodes are same to those deployed for static environmental monitoring, implementing two independent IEEE802.15.4 communication interfaces. Outdoor parking area management: Almost 400 parking sensors (based on ferromagnetic technology), buried under the asphalt have been installed at main parking areas of the city center, in order to detect parking sites availability in these zones. Guidance to free parking lots: Taking information retrieved by the deployed parking sensors, 10 panels located at the main streets’ intersections have been installed in order to guide drivers towards the available parking lots. Traffic Intensity Monitoring: Around 60 devices located at the main entrances of the city of Santander have been deployed to measure main traffic parameters, such as traffic volumes, road occupancy, vehicle speed or queue length. As it can be derived from the described use cases, all of them are intended to provide a different service, as well as offering the retrieved data for other users to experiment with, the so called experimentation at service level. Additionally to the experimentation at service level, some of the nodes that take part of the deployment, in particular those supporting static and mobile environmental monitoring and parks and gardens irrigation services (previously described), also offer the possibility of carrying out experimentation at node level. With experimentation at node level, it is considering that some of the deployed IoT nodes (those previously indicated) can be flashed, as many times as required with different experiments, through OTAP (over-the-air programming) or MOTAP (Multihop OTAP), for nodes more than one hop away from the gateway. In this sense, researchers can test their own experiments, such as routing protocols, data mining techniques or network coding schemes. This experimentation is made available by using an additional IEEE 802.15.4 transceiver the nodes are provided with, thus isolating data traffic associated to experimentation from the generated by the service provision (static and mobile environmental monitoring and parks and gardens irrigation). The capability of flashing nodes both mobile and static allows the possibility of implementing experiments including Vehicle to Infrastructure (V2I) communications. Apart from the aforementioned use cases, two citizens-oriented services have been deployed, thus including corresponding applications for Android and IOS operating systems, in order to foster the citizens’ involvement. Augmented Reality: This service includes information about more than 2700 places in the city of Santander, classified in different categories: beaches, parks and gardens, monuments, shops. In order to complement and enrich this service, 2000 RFID tags/QR code labels have been deployed, offering the possibility of “tagging” points of interest (POI) in the city such as touristic POI, shops and public places (parks, squares). In a small scale, the service provides the opportunity to distribute information in the urban environment as location based information. Participatory Sensing: In this scenario, users utilize their mobile phones to send to the SmartSantander platform and in an anonymous way, physical sensing information, e.g. GPS coordinates, compass, environmental data such as noise, temperature. Users can also subscribe to services such as “the pace of the city”, where they can get alerts for specific types of events currently occurring in the city. Users can themselves also report the occurrence of such events, which will subsequently be propagated to other users that are subscribed to the corresponding types of events. It is important to highlight that, in the same way as aforementioned use cases, information retrieved by these two services is made available to the SmartSantander platform, in order other users to experiment with it (experimentation at service level). Additionally, just to indicate that these applications are continuously evolving adding new functionalities, serving also as basis for the development of new applications in the context of a smart city. 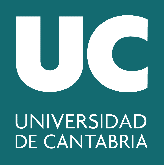 UC-SmartSantander Lab is intended for trying technological IoT and Smart City related solutions in a controlled environment, before carrying out the installation in the different parts of the city. 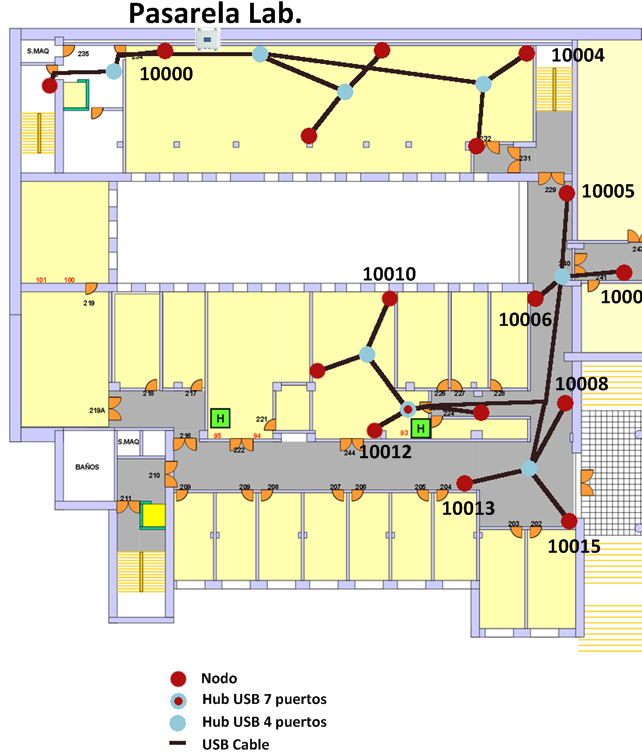 As it can be observed in Figure 2 , on the right side it is presented a replication of city testbed at small scale within UC premises (15 nodes), to test technologies in an accessible indoor environmen. 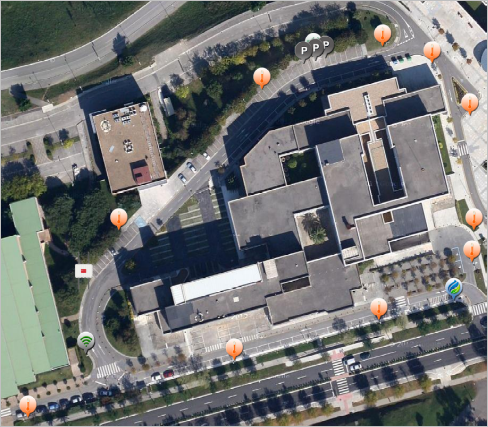 On the left side, it is shown a small outdoor deployment (also around 15 nodes) within University campus for trying developments in a controlled outdoor scenario, prior to install it in the operation scenario..